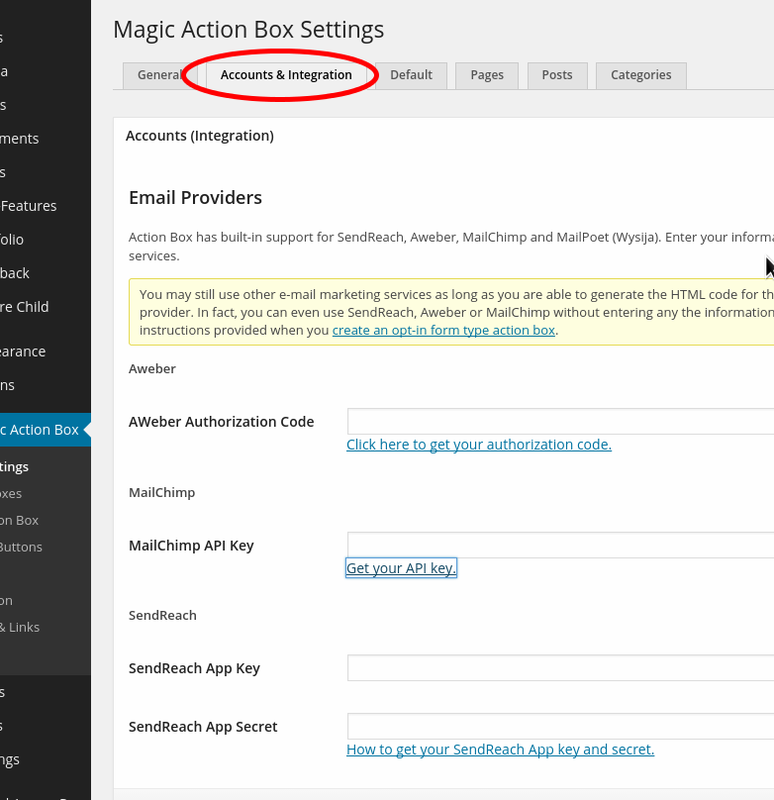 In your WordPress Dashboard, go to Magic Action Box → Main Settings. Then click on the Accounts & Integration tab. 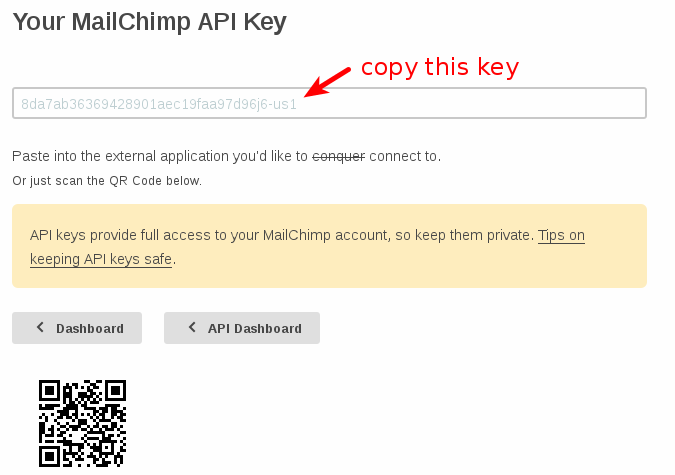 You should see a MailChimp API Key field. Click on the Get your API Key link right below that field. Log in to MailChimp if you are asked to log in and copy the long string of text. Paste the API Key you got from MailChimp and paste it into the MailChimp API Key field. Magic Action Box will now get your lists from MailChimp and you can now create opt in forms with MailChimp as your Mailing List Provider. 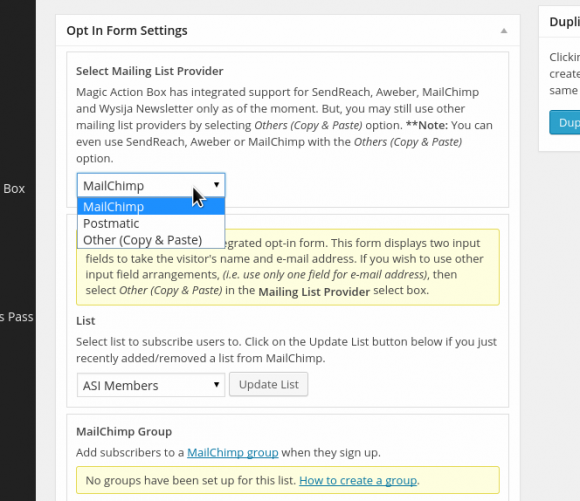 The screenshot below shows that MailChimp is now available as an option when you create or edit an Optin Form type action box.